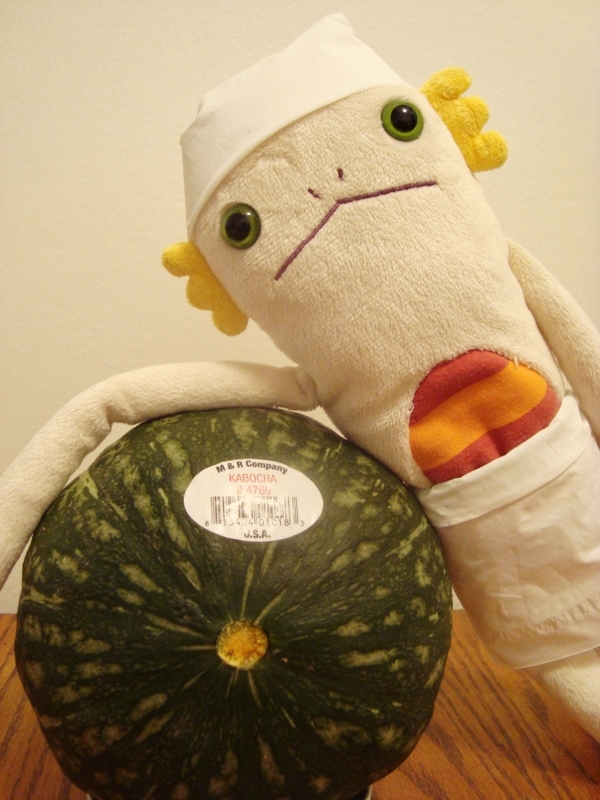 Alien cook since Alien get a Japanese squash. 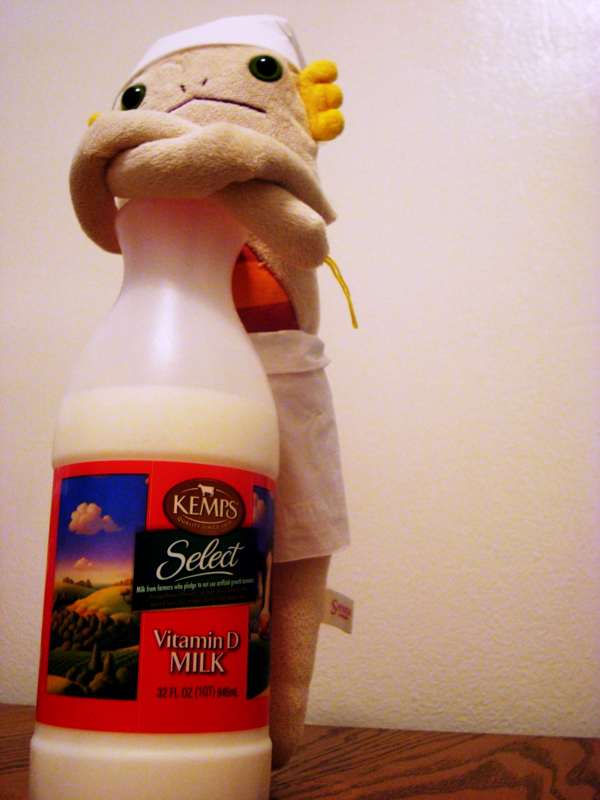 Alien am ready with an apron and a white-cap. 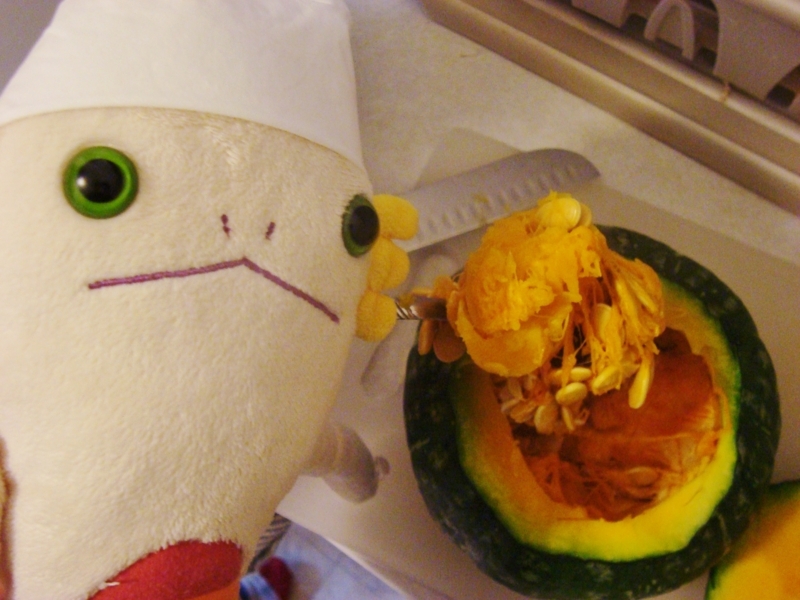 It say KABOCHA. Alien got it in an Asian market. Squashs are very hard. Alien microwave it. 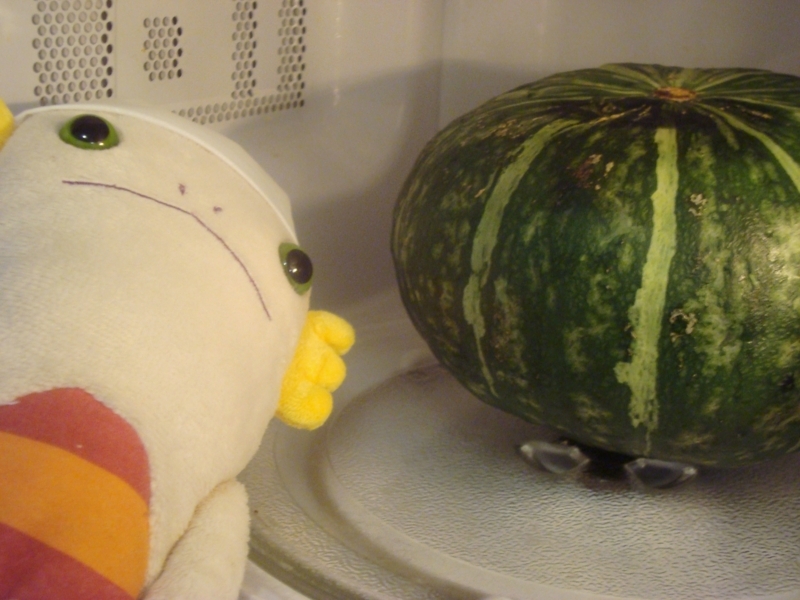 While the squash is in the microwave, Alien make white sauce. Alien melt butter on a pan, stir onion, and add flour. Alien stir them, add milk, and flavor with salt, pepper, and a cube of broth. Alien stir chicken in another pan and add it to the white sauce. The sauce is done. 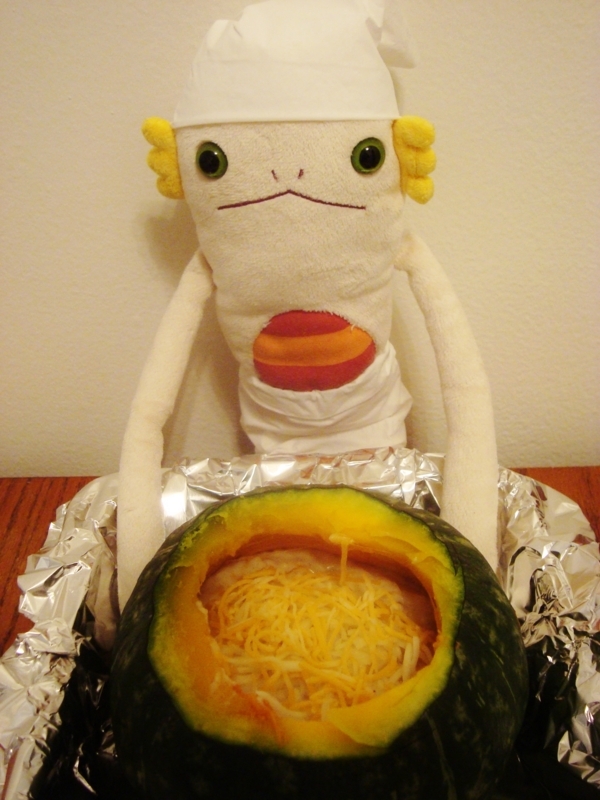 The squash gets soft while Alien make white sauce. Alien cut off an above part and get rid of seeds. 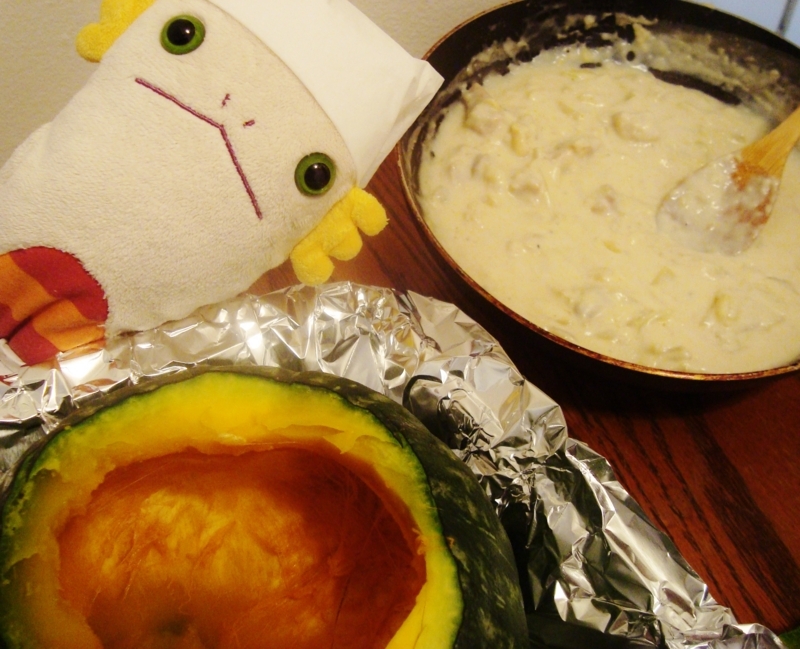 Alien put white sauce in the squash. Alien use two kinds of cheese. Alien decided to do push-up! 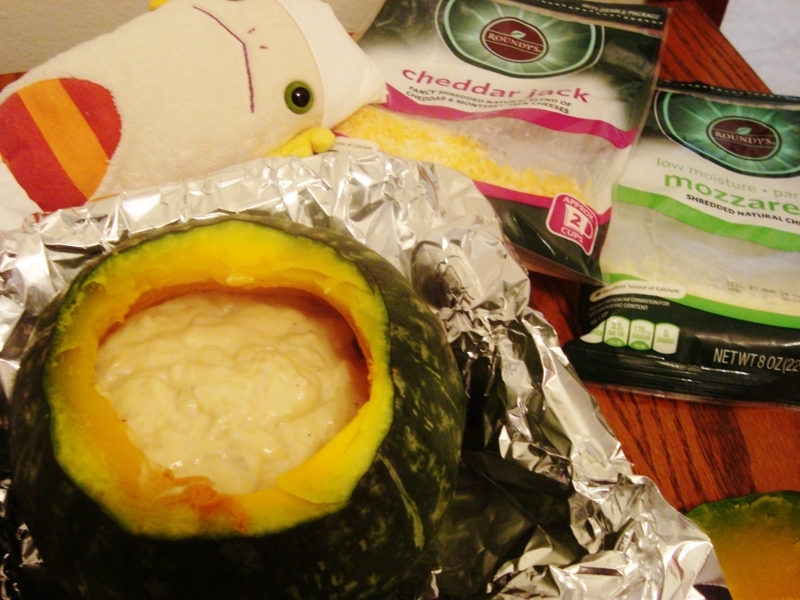 Thanks to push-up, the squash gets nicely baked. 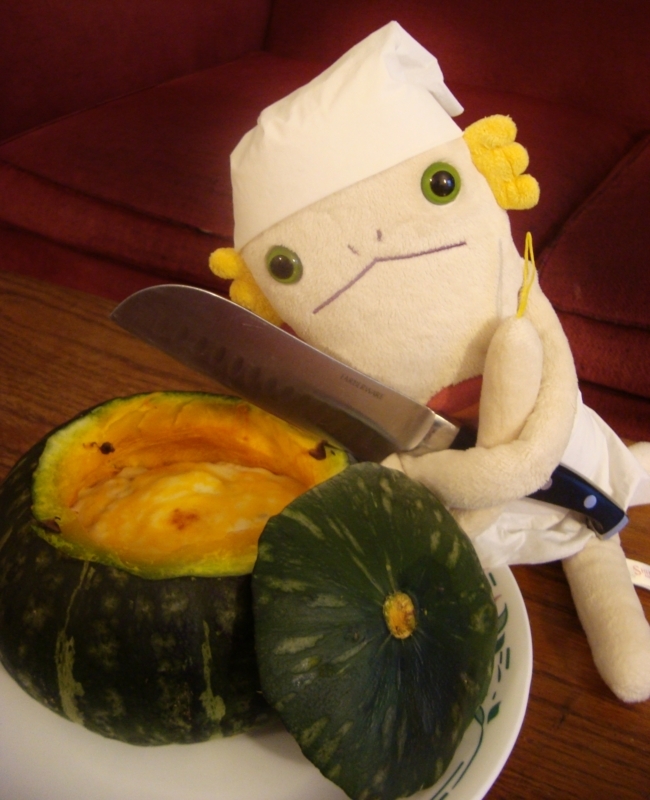 Alien cut the squash with a knief, with Alien's trained muscle. Alien's exercise before baking is in vain.